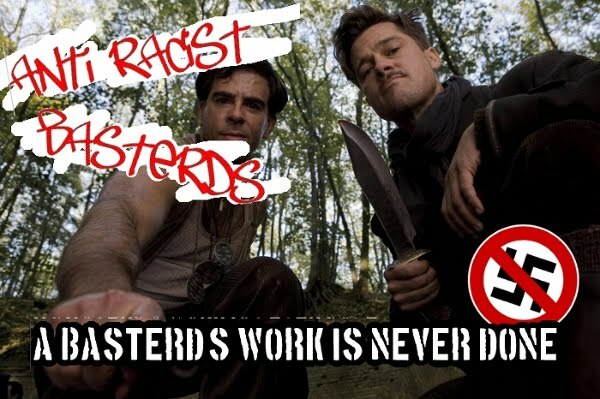 Nazis everywhere these days. Didn't the Brits fight a war to get rid of these people? A UK politician has claimed that Jews deliberately murdered each other in the Holocaust as part of a master plan to create Israel. “Holocaust means a sacrifice by fire. Only the Zionists could sacrifice their own in the gas chambers. SWNS found other comments on her Facebook page from several months ago that also offer a not-so-subtle view into Cramptom’s noxious mindset. “The Rothschilds are Zionists..there is a difference between Jews and Zionists. These Psychopaths hide behind and use the Jews. “It was thanks to them that 6 million Jews were murdered in the War (along with 26 million Russians! ),” Crampton wrote. 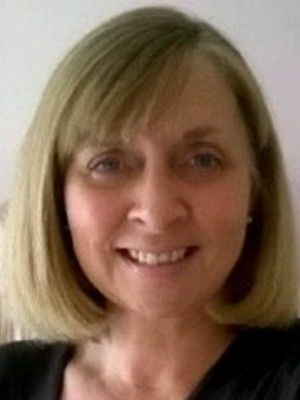 Mrs Crampton is standing for the UK’s Independent Party in next week’s county council elections in the traditionally Conservative ward of Crowborough in East Sussex. 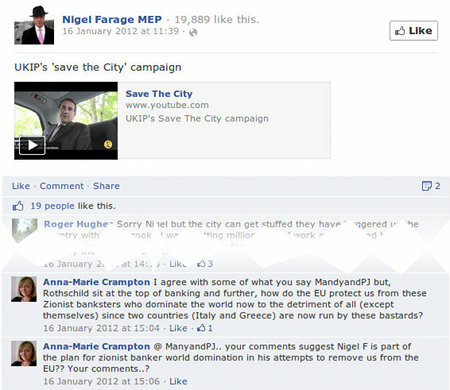 Anti-racist groups said UKIP had to drop Mrs. Crampton as a matter of urgency. Sam Westrop, director of Stand for Peace, a leading Jewish-Muslim interfaith organization, said: “Time after time, conspiracy and anti-Zionist sentiment is revealed to be nothing more than thinly-veiled anti-Semitism. “UKIP, to its credit, has expelled extremist and bigoted members in the past. After the election, Sked resigned from the leadership and left the party because he felt "they are racist and have been infected by the far-right" and "doomed to remain on the political fringes". A Ukip spokesman said Anna-Marie Crampton, a candidate in East Sussex, had been suspended from the party pending an investigation. 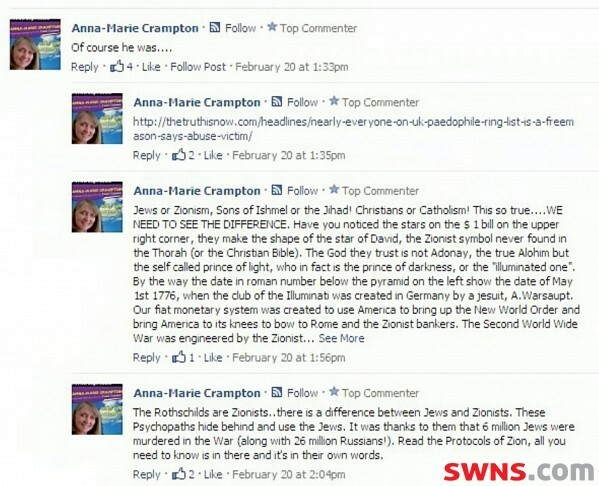 The spokesman said Ms Crampton told officials her account had been hacked and she was not responsible for the posts - including a claim that the Second World War was “engineered by the Zionist”. Sorry lady, you ain't no lady. You're just another lying Nazi who thought you could get away with playing to your base. The problem is not that these loonies have been around since the beginning of times but that it seems that nowadays they feel that the environment is such that they can freely express their insanity without any impunity and with even a silent approval from many quarters. We just threw her friend Nigel Farage for free, cuz ain't no way he doesn't know his party is full of NAZIS. Doesn't go with that dress, but Nazis ain't too particular. 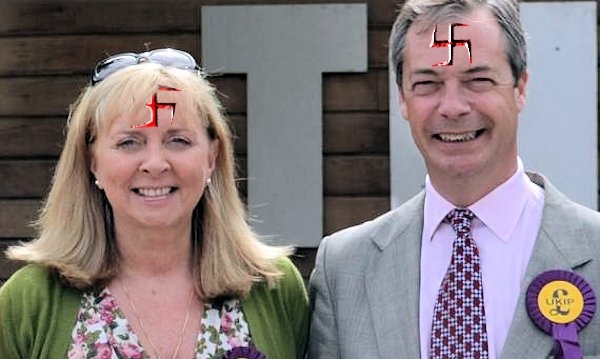 Mrs Crampton posed with UKIP leader Nigel Farrage at a rally in Tunbridge Wells, Kent, two weeks ago – and proudly posted a photo on her Facebook page. A further outrageous comment, posted two months ago, added: “The Rothschilds are Zionists..there is a difference between Jews and Zionists. These Psychopaths hide behind and use the Jews. The comments in her name are part of an online discussion of an article entitled ‘Was Pope Benedict fired by the Knights of Malta?’ which is on website called Secrets of The Fed. The entry in Crampton's name said: "Of coure he was" and went on to say "The Rothschilds are Zionists... there is a difference between Jews and Zionists. These Psychopaths hide behind and use the Jews. It was thanks to them that 6 million Jews were murdered in the War (along with 26 million Russians!)" "When I said the 2nd world war was engineered by Jews, I meant that it was engineered by Zionists." https://twitter.com/Anna0002/status/327414747534356480 … OK then. @davidfrum What is a Zionist versus a Jew by faith and origin? @msthorpe43 @davidfrum Look to exceptions to the rule (e.g. Noam Chomsky). Not every Jew is a Zionist, and not every Zionist a Jew. @DaveMosheDanson @msthorpe43 @davidfrum It's pretty similar to ppl who insist they mean a "bad" black person when they use the n-word. @davidfrum Googled UKIP. Party bills itself as: "Libertarian, non-racist party.." Curious way to introduce your party. 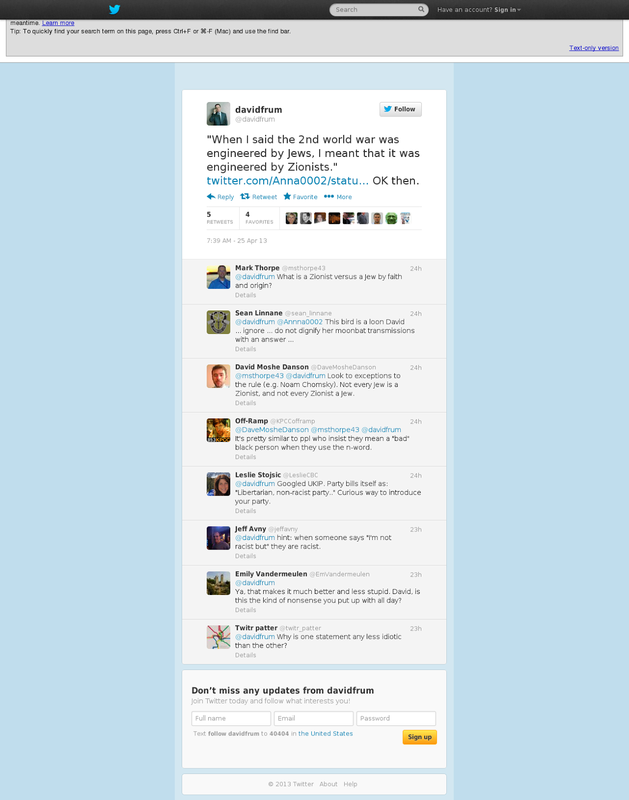 @davidfrum hint: when someone says "I'm not racist but" they are racist. @davidfrum Ya, that makes it much better and less stupid. David, is this the kind of nonsense you put up with all day? @davidfrum Why is one statement any less idiotic than the other? Well, we got her admitting SHE SAID IT. No hacked account. "We aint so much into the educating business. We're into the Nazi exposing business. " "Nazis don't get "free speech'."